It's one of our best sellers! 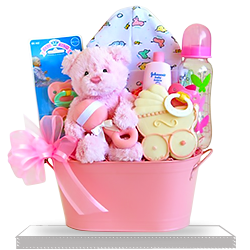 It's pink and festive and celebrates the arrival of a baby girl. 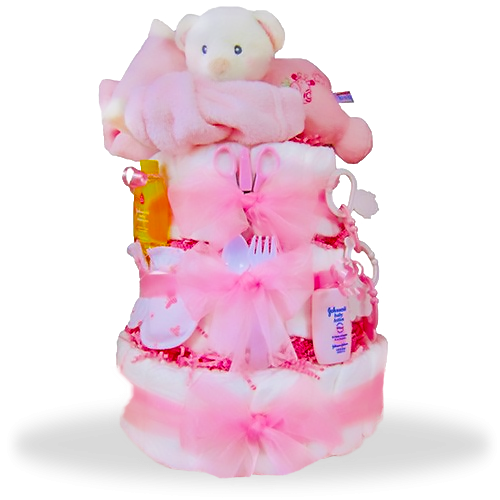 Tied together with pink bows are 50 Pampers Swaddlers--that's just the start of this wonderful gift! 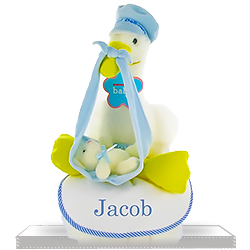 Also included are a personalizable receiving blanket, manicure set, fork & spoon, link toys, and scratch mittens. As a little extra we've thrown in some supplies: baby shampoo, baby wash and baby lotion, along with a tube of Desitin cream. 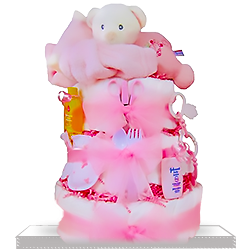 Finally, a plush bear for the new baby girl! Wasn’t sure that it worth the price but when I received recipient’s raving review I realized that it was a right choice. 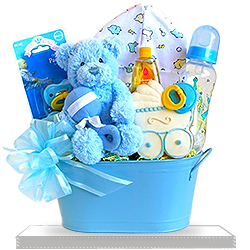 Will buy it again for someone else’s baby shower. I was surprised when received this gift from a person I didn’t see for some years. It occurred that our common friend told her that I have a baby and she decided to congratulate me with such a lovely gift. Love this!